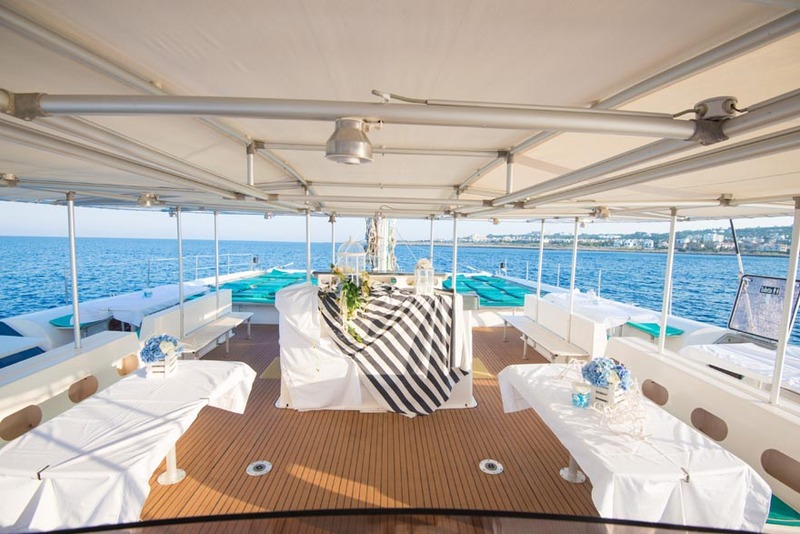 With her huge and spacious sun decks, this catamaran can accommodate all kinds of private functions. She has two double cabins and two W.C./showers. Manufactured by Fountain Pajot in 2001. 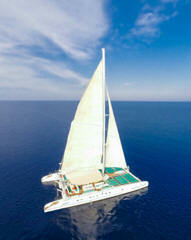 Sail area 205sq.m. / 2206sq.ft. 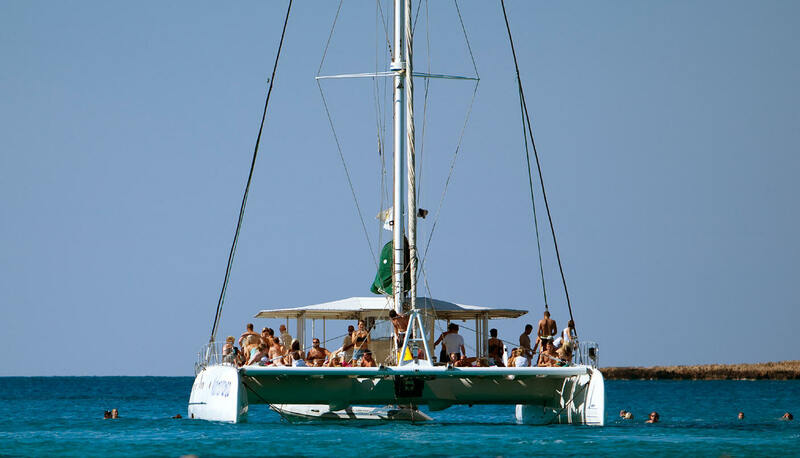 Location: Ayia Napa/Protaras, Limassol and Paphos. If you are looking for a shared charter or a good day out with others, we have a weekly program here of her sister ship.